Many drivers are convinced that it is okay to multitask while driving, but crash statistics and studies on distracted driving indicate it is not safe. The National Safety Council estimates that cell phone use alone accounts for at least 25% of crashes. It is estimated that at a typical daylight moment, about 416,000 passenger vehicle drivers are using handheld cell phones while driving. Lie #1: I can multitask while driving. Truth: You may be able to do more than one task at a time, but if the tasks require cognitive activities (thinking), the brain rapidly switches between the two activities, processing each one separately instead of simultaneously. For example, you can walk and chew gum at the same time because one is a thinking task and the other is a non-thinking task. On the other hand, driving and talking on a cell phone are both thinking tasks. Lie #2: Using a hands-free device makes talking on a cell phone safer while driving. Truth: Hands-free devices do remove the manual distraction of holding a phone while talking, however, the cognitive distraction (brain distraction) is still present due to the conversation. Studies have shown that talking on a cell phone reduces the amount of brain activity associated with driving by as much as 37 percent. 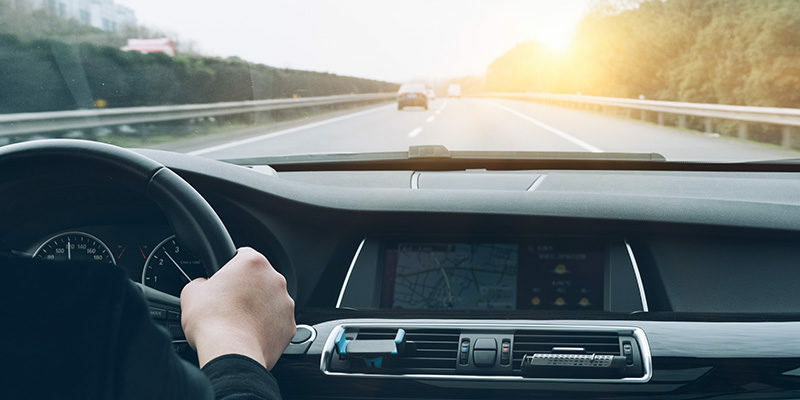 This results in “inattention blindness” which occurs when a driver is not fully aware of all that is going on ahead, around and behind the vehicle. A recent AAA study showed that a driver can be distracted up to 27 seconds after sending a voice text. Lie #3: A cell phone conversation is the same as talking to a passenger in my vehicle. Truth: Studies have shown that talking on a cell phone is a greater distraction to the driver than talking to someone in the vehicle. The passenger in the vehicle can actually be a “second set” of eyes to alert the driver to possible hazards. Typically, adult passengers will adjust their conversation when traffic is difficult whereas the person on the other end of the cell phone will not since they are not aware of the changing traffic conditions. Lie #4: I do not get distracted while driving because I do not use my cell phone. Truth: Long before cell phones, we had plenty of other things to distract us. All of those possible distractions still exist and there are new ones besides the cell phone. Eating, drinking, personal grooming, adjusting vehicle controls, newspaper, GPS, work files, laptop and happenings outside of the vehicle … the list of distractions is endless. Basically, anything that takes your mind, eyes or hands away from the task of driving is a distraction. Lie #5: It’s just a quick glance away from the road; it will not matter. Truth: It does matter. Psychologists estimate the average driver will make at least 400 observations and 40 decisions based on those observations every two miles. At 60 mph, a 3 second “glance away” will result in missing 10 observations and 1 decision while traveling almost the length of a football field. That’s just in 3 seconds! Studies show that it takes the average person at least 5 seconds to dial a number on their phone. As drivers, we need to realize the truth that multitasking and driving are not a good combination. The stakes are extremely high, involving not only a driver’s quality of life but that of others who may be impacted by the outcome of a resulting crash. Avoid the temptation to talk or text on the phone by simply turning your phone off or placing it in the glove box or center console while driving. What Drives Personal Auto Insurance Rates?